Beat the eggs in a large bowl, season the flour with salt and pepper, place the strips of fish into the flour, then dip into the egg, carefully lift out and coat with the breadcrumbs. Lay on a tray until needed. 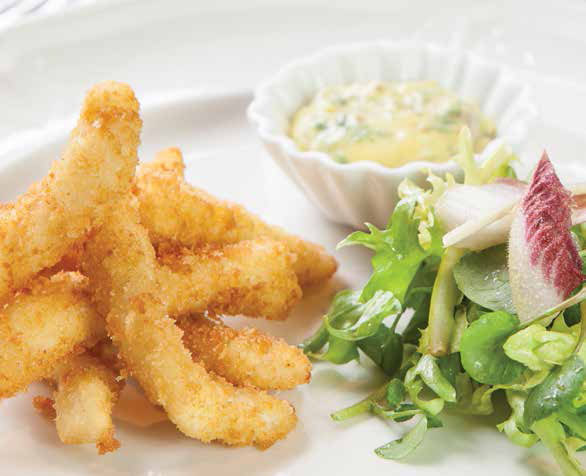 Heat a deep fryer to 180oc, fry the Goujons in the fryer for a few minutes until crisp and golden, season with salt and serve straight away with tartare sauce.